The decision has been made to invest in metal roofing or siding for a project or business. Now it is incumbent upon job site professionals, business owners and/or contractors to ensure proper care is taken to preserve and protect the integrity and attractive appearance of your metal roof and wall panels from damage caused by moisture, corrosive chemicals or improper handling. To mitigate any potential issue, it is necessary to take a few simple precautions. Moisture: After unbundling, if there is moisture, the panels should be elevated, separated and dried in a secure are not exposed to wind or other elements. Denting/Bending: If found, the carrier should be advised and the manufacturer should be made aware of the issue as quickly as possible. You should take inventory of the materials delivered as well as pictures of any damage a notation made on the bill of lading. Additional Transit Abrasion: If found, the carrier should be advised and a notation made on the bill of lading. Take pictures of any damage as soon as you find it (don’t move the panels before taking pictures) and notify the manufacturer as soon as possible. If you do have any issues with material, it is important to contact the material manufacturer or the place of purchase immediately to ensure the issue is addressed appropriately. On a jobsite, reasonable care should be taken when handling painted surfaces during unloading, unpacking, moving, handling and/or installation in order to protect the finish. Although the paint coating is tough and does provide impact resistance, dragging a panel across the surface of another panel will almost certainly mar the finish. 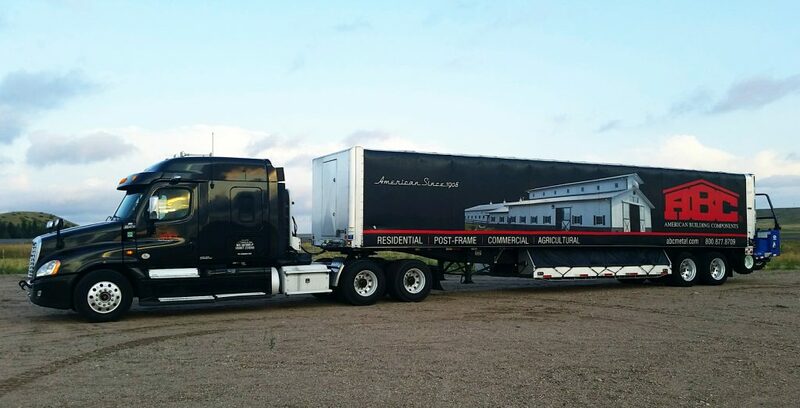 Finally, when storing panels before sale, delivery to a buyer or jobsite, or while on the jobsite waiting for installation, you will want to take special care to store the panels in a proper manner to ensure the integrity of the material is protected. Here are some challenges, solutions and caveats for a number of common situations. Prolonged Storage: This is NOT recommended when panels are bundled or in a damp environment. If conditions do not permit immediate erection, extra care must be taken to protect the material from damage caused by moisture. See the manufacturer’s installation manual for proper storage of materials as well as the section below for more details. Bundled Sheets: Only store in a DRY place. Sheets should be unbanded and stood on end at a slight angle against an interior wall that is not exposed to wind in order to allow for good air circulation. If it is not possible to store sheets in an upright position, strapping bands should be broken and sheets should be blocked off the floor with one end slightly elevated. Stacked Sheets: These should be completely protected from the elements while maintaining good airflow in order to prevent condensation. Panel Coverings: A properly draped canvas tarpaulin that allows for adequate air flow is an example of a good protective cover. Do not use plastic as it causes sweating and condensation to occur. Trim Storage: Do not store trim with strippable film in the sun for long periods of time as the ability to separate the film and its adhesive from the metal will become unmanageable. In order to prevent unwanted chemical reactions and corrosion, do not store the metal panels with materials made of dissimilar metals (lead, copper, etc.). Strong acids (jet fuel exhaust, commercial cleaners/solvents, etc.) can degrade the finish and void the manufacturer’s warranty. Preserve and Protect—and also Inspect. 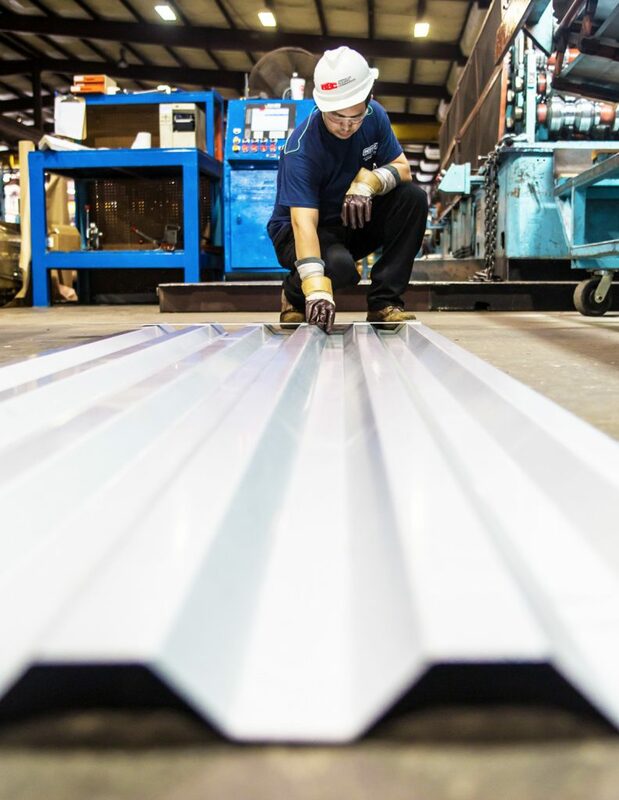 Keeping these common-sense actions and precautions in mind, there is no reason that the unique aesthetic qualities of metal panels should ever be compromised on a jobsite. For more information on metal roof and wall panels and to learn more about how to protect them throughout their lifespan, contact your local ABC representative today.